Did you know that the debilitating medical condition of Chronic Cough is a gender issue? Chronic Cough is not gender neutral. In fact, Chronic Cough favors women. While Chronic Cough does affect both men and women, just being a woman sets you up for Chronic Cough. Chronic Cough affects women more often than men. And it particularly affects women as they age. Dr. Mandel Sher’s vast experience diagnosing people who suffer with Chronic Cough and recommending cough treatment confirms the higher incidence of Chronic Cough among women. “Chronic Cough as a Female Gender Issue,” a review article by Kavalcikova-Bogdanova, Buday, Plevkova, and Song published in the January 9, 2016 issue of Advances in Experimental Medicine and Biology, addresses this phenomenon. The authors suggest the role of hormones in excessive cough. According to Dr. Sher, women are hard-wired to cough. That means that women organically have a more sensitive cough mechanism. The higher sensitivity of the cough mechanism means that it takes a lower level of irritants or stimuli to trigger coughing spells. And since cough begets cough, Chronic Cough can become the result. Dr. Sher emphasizes that cough is an important mechanism in all children and adults. But in 12 to 15% of the population, a persistent cough that won’t go away becomes disruptive. Chronic Cough has negative physical, mental, professional and social consequences. Dr. Sher goes on to say that the goal of cough treatment is to normalize cough – not to suppress cough. Sometimes, cough is an indication of a more serious underlying medical condition. In people suffering with Chronic Cough, cough is often THE problem. A lingering cough is not normal and should not be ignored. If you or someone you love has a Chronic Cough, contact Dr. Mandel Sher at Center for Cough: 727-393-8067. Chronic Cough is not gender neutral. While Chronic Cough affects men and women, it affects women more often; particularly middle-aged and older women. Chronic Cough is a debilitating medical condition with physical, mental, social, and professional consequences. 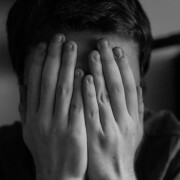 Social isolation and depression are often associated with Chronic Cough. If you or someone you know has persistent cough and symptoms of depression, contact Dr. Mandel Sher at Center for Cough: 727-393-8067. “Prevalence of Depressive Symptoms Among Patients With Chronic Cough” by Dicpinigatis, Tso, and Banauch, published in the December 2006 issue of Chest, reported that over fifty percent of patients with chronic cough were clinically depressed. The authors pointed-out that physicians and others should be aware of the association between chronic cough and depression and recognize depression symptoms. Patients who were treated and experienced decreased cough also experienced a decrease in depression according to the authors. Persistent cough is not normal. A cough lasting more than eight weeks should be evaluated by a Cough Doctor to identify the cause and develop a comprehensive cough treatment plan. Sometimes, cough is a symptom of a serious underlying medical problem. Sometimes, cough is THE problem. Chronic Cough can be successfully treated even in patients who have seen other doctors and failed other cough treatments. Dr. Mandel Sher recently presented a seminar on Rhinolaryngoscopy at the American Academy of Allergy, Asthma & Immunology in Los Angeles, California. Rhinolaryngoscopy is an advanced diagnostic tool used to identify the underlying cause of Chronic Cough. Dr. Mandel Sher is specially trained in Rhinolaryngoscopy and one of the few doctors in the Tampa Bay area who uses rhinolaryngoscopy in the office to make a firm diagnosis of Chronic Cough or Upper Airway Disease. “Rhinolaryngoscopy is in invaluable diagnostic tool for identifying the triggers and causes of chronic cough and upper airway disease” stated Dr. Sher. Dr. Sher has performed thousands of rhinoscopies in Center for Cough and regularly teaches other physicians how to perform rhinolaryngoscopy. 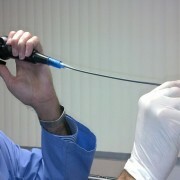 Endoscopy or rhinolaryngoscopy of the nasal and sinus structures, back of throat and the voicebox (larynx and vocal cords) is an advanced diagnostic tool that enables Dr. Sher to clearly see sinusitis, allergic rhinitis, nasal polyps, deviated septum, infected or enlarged adenoids, layrngopharyngeal reflux (stomach acid attacking the voice box), vocal cord nodules and polyps, and “dancing” vocal cords – a sign of neurogenic cause of chronic cough. This simple and relatively non-invasive procedure is a cornerstone of the diagnostic approach used by the Center for Cough. 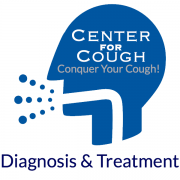 Diagnostic precision of underlying cause of Chronic Cough is the first step to Dr. Sher developing an effective cough treatment plan for each patient. Dr. Sher and his colleague, Dr. Gary Stadtmauer of CityAllergy in New York, New York collaborated on this program. “New Concepts in Chronic Cough” presented by Dr. Sher to his North Carolina colleagues was just the invitation he needed to return to beautiful North Carolina. 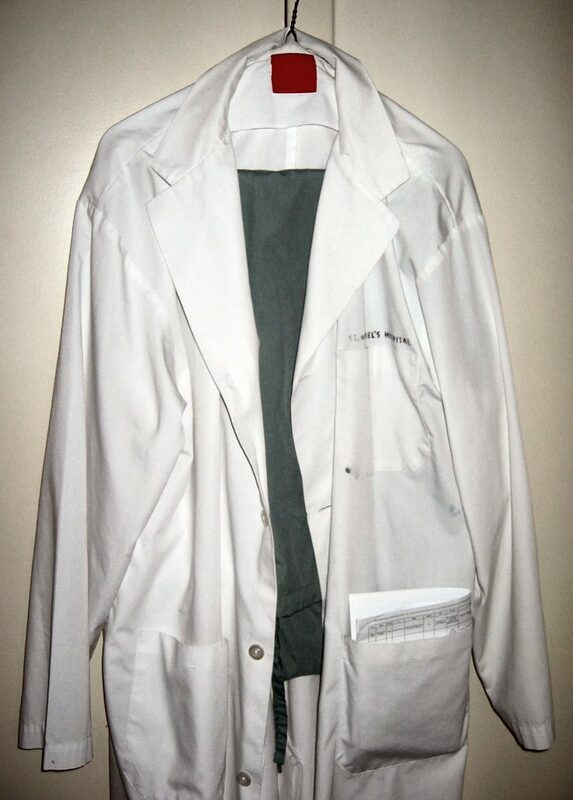 Dr. Sher began his specialty training at Duke Health System in Durham, North Carolina, after graduating from Northwestern University’s medical school in Chicago, Illinois. The scientific and medical community’s understanding of Chronic Cough causes and treatments are evolving rapidly and it was Dr. Sher’s pleasure to share these new concepts. Mandel Sher, MD, Medical Director of Center for Cough, spoke to the North Carolina Allergy, Asthma and Immunology Society’s annual meeting on Saturday, February 6, 2016 on “New Concepts in Chronic Cough”. Dr. Sher is one of the nation’s leading investigators studying new scientific and clinical findings about the causes of Chronic Cough and effective cough treatments. 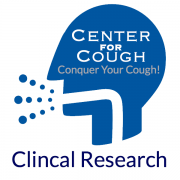 These new concepts in Chronic Cough have the promise of expanding our understanding of this debilitating medical condition and treating it effectively. Chronic cough affects 12 to 15% of the population and has debilitating consequences: Depression, Social Isolation, Fatigue, and Urinary Incontinence to name a few. Dr. Sher spoke about the current unmet need in cough treatment and the promising cough treatments in the future. Dr. Sher addressed the paradigm shift in the diagnostic and cough treatment approach to now focus on overly sensitive cough mechanism particularly in people who are hard-wired to cough.